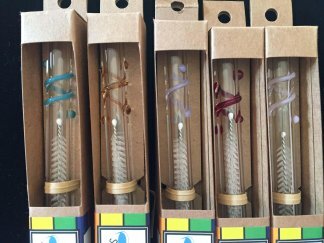 Looking for an alternative to plastic drinking straws? 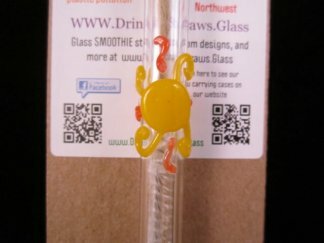 Our Dots Custom Accent Glass Straw is just that and more. Not only will you be reducing the amount of plastic pollution that is out there you will also be drinking your beverage with style. 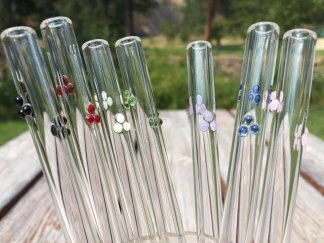 Our Dots add a splash of color to your glass straw. These straws come in 2 different diameters; 9.5mm (standard) and 12mm (smoothie). 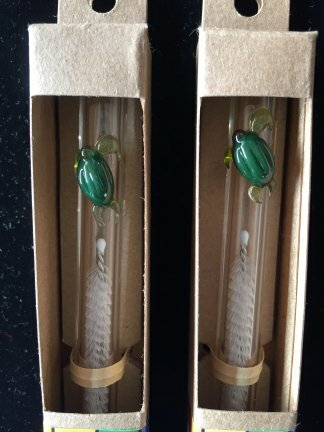 They also come in a variety of lengths; 6.25 inches (cocktail), 8 inches (standard), and 10 inches (long). Finally saving the best for last is Color Choice. 🙂 Choose what color you would like for your Dots. 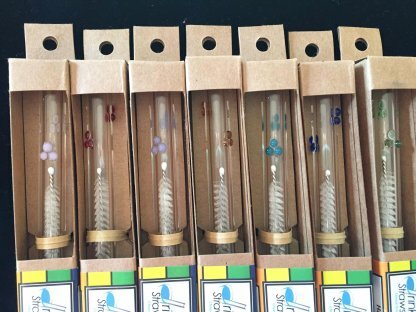 Wondering how easy glass straws are to clean? 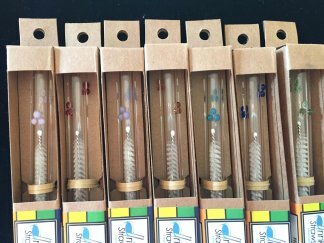 Our glass drinking straws are made with high quality borosilicate which helps make them extremely durable and also Dishwasher safe. No dishwasher? That’s ok because we have included a cleaning brush to help with those extra cleans. 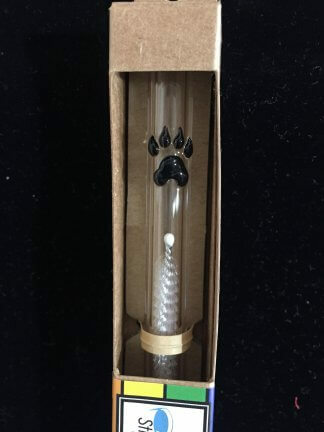 We also have Carrying Cases that are handmade by us that allow you to take your glass straw with you on the go. Our packaging is also handmade by us using recycled chipboard and hemp string. We spend a lot of time, love and energy into our packaging. If we all work together we can help reduce the amount of plastic straws that are used daily. Right now in the US we use 500 million plastic straws a day. Our landfills, oceans, beaches, trails and more are being littered with single use plastics. Plastic straws are top on the list of what is found when picking up trash.